Athol Glover’s work in the Pacific represents precisely what the wider aviation community needs to achieve. Athol Glover represents mutual accountability. The Pacific Islands – often seen as home to some of the most naturally-rich pleasure resorts, international wildlife hubs, untouched zones of inexplicable beauty, hosts of David Attenborough documentaries, rugby giant killers (the list could go on) – are often forgotten as being habitats in which a unique and eclectic culture of people live. 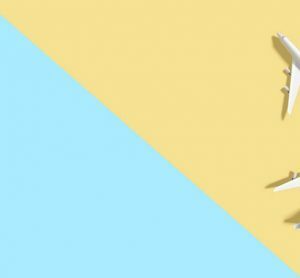 From the perspective of the aviation industry, the Islands’ infrastructure is understandably limited but fundamentally essential to transportation between each nation. Crucial to this article however, their aviation infrastructure and its maintenance remains reliant upon assistance from New Zealand and to an extent Australia. 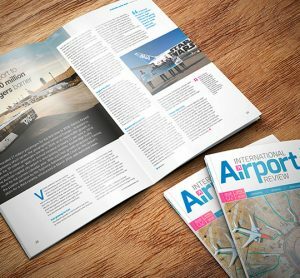 As part of our closer look at the Asia-Pacific region, International Airport Review will assess the extent to which the relationship between New Zealand’s aviation network and the Pacific Islands is emblematic of precisely what ICAO’s ‘No Country Left Behind’ motto is striving to achieve. After an exclusive conversation with the Civil Aviation Authority of New Zealand’s Principal Aviation Security Advisor, Athol Glover, we consider why the support Athol provides for the Pacific Islands should be considered a model for a wider, global effort to improve a collaborative, international approach to aviation and more specifically aviation security. New Zealand deals with eight Pacific Island nations of which two are realm countries between which New Zealand citizens can move freely (the Cook Islands and Niue Island). Athol smiles, proudly sporting a brightly-coloured short-sleeved short as he goes onto describe his role within the important relationship New Zealand has with the Pacific Islands. 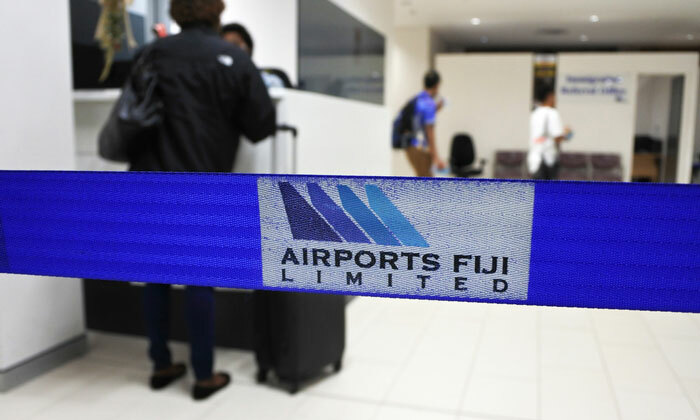 Athol tells International Airport Review that he represents CAANZ on a committee that administers a Security fund, provided by the New Zealand government, to maintain aviation security across the Pacific Islands. Both New Zealand and Australia oversee regular flights to and from the Pacific Islands, the Cook Islands for example very well connected to both Auckland and Sydney. “It’s a small place,” Athol mentions as he describes the routes between New Zealand and Niue Island. “I hope tourism doesn’t ruin it – it needs to be preserved. Athol wishes to dispel any view of the Pacific Islands as a paradise for tourists as it is clear that there is much work to do to ensure that aviation remains safe and secure. 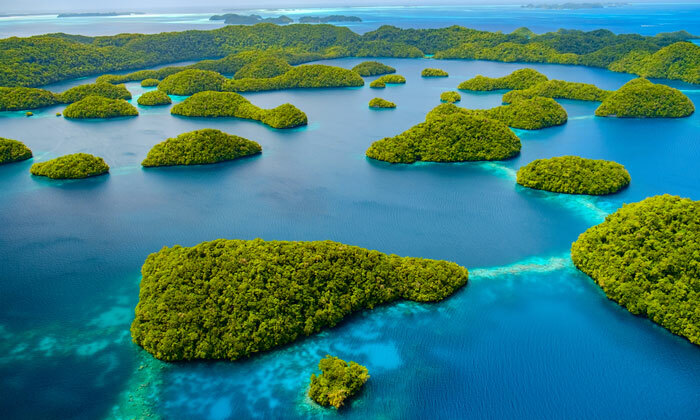 “The Solomon Islands are just something else,” Athol leans forward, suddenly serious. “People have this impression that the Pacific Islands are sunny, beaches and palm trees but there’s a lot that needs to be done in order to ensure we meet our international obligations. As a sort of mediator, in this article I wish to argue that Athol’s role in actively encouraging autonomy in the management of aviation infrastructure in the Pacific Islands represents a model for progress towards actually fulfilling ICAO’s ‘No Country Left Behind’ motto. “Better leadership is very much required in the region,” he continues. “It is up to those nations with strong aviation networks to help those get up off their feet and give them the capability to manage themselves. But Athol’s example shows that it’s up to those with the economic power and knowledge to empower those in need in order to create and implement a safe and secure, fundamentally-global, aviation security network. So what are the main issues that currently face the Pacific Islands? “Well, safety for one,” Athol begins. 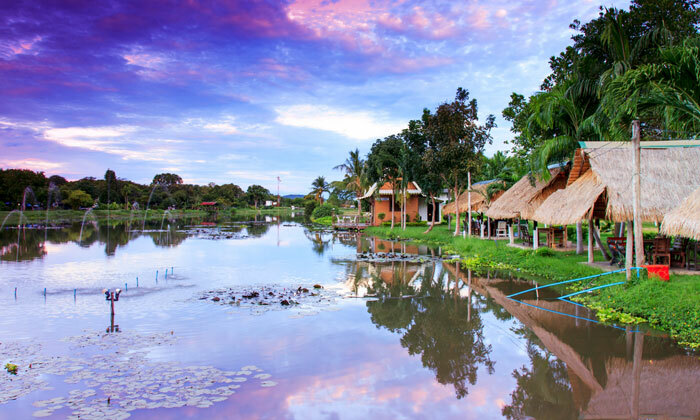 For example, an issue specifically affecting runway maintenance might block all travel to and from a particular island which would have an extremely damaging effect on both tourism and the economic output of that particular society. “All of the Pacific Islands nations that New Zealand assists have their own unique issues,” Athol explains. 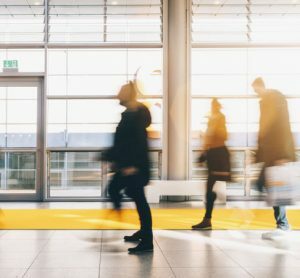 “These vary from having the appropriate infrastructure in place to achieve the security outcomes, leadership and most importantly, accountability. A success we have enjoyed in the past is that we have trained local technicians in how to service and maintain their x-ray screening systems. 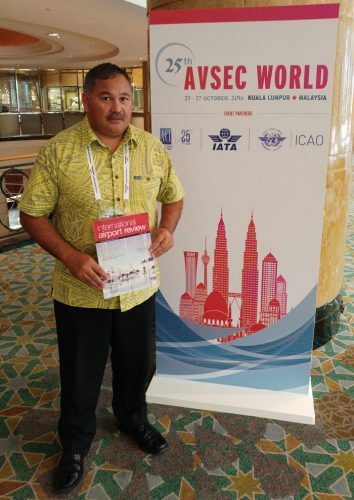 Having met at AVSEC World, it strikes me as Athol details the intricacies of the situation that his role in the Pacific Islands’ development is perhaps a microcosm for what should be done for the wider aviation network. Firstly, the rhetoric at October’s AVSEC conference, and largely applicable to the entire industry, was defined by the idea that we must ‘collaborate’ in order to security and also wider industry issues. What is typically meant by this is the unification of airport, airline and regulator alike to find collective solutions to collective problems. While the Pacific Islands might not communicate with one another, this issue seems symbolic of a wider industry problem – the lack of collaboration and discussion. Returning to Athol’s conversation, he sets out the example of Papua New Guinea. The island, in the southwestern Pacific, is known for its immense cultural and biological diversity as well as its beaches, volcanoes and coral reefs, and currently has a model that grants responsibility to the national airways corporation for screening and baggage handling who outsource to private contractors. There may be a possibility for some changes and how things can done more efficiently and effectively. “We don’t need to reinvent the wheel,” Athol exclaims, evoking Tonga’s model that has an in-house approach of providing security and screening services which is a model that works well. So would you consider what Tonga is doing as a model for many of the other islands? “Yes, absolutely,” Athol replies stating that he has been happy to act as a mediator between the two parties. Athol then moves onto an anecdote regarding the use of handheld radios. “They had no comms or radios in Tonga and members of staff were going out at night to check things and had no means of reporting back. Therefore, if they spent too long, others would be sent out… you can see where this is going, can’t you,” he laughs. “What if you had a radio?” I then asked them. “Oh that’s a good idea,” one of them said and so acknowledging the issue I sourced them some radios, funded by the New Zealand government’s budget. “I had already set the foundation for them,” Athol continues, “so sometimes it is necessary to say no to requests in order that they learn from what has happened. It seems that the issue of mediation from New Zealand is often cultural miscomprehension. ICAO’s security training centre in Auckland runs a variety of ICAO courses each year and usually Athol receives sponsorship to send Pacific Islanders down to the centre, but recently he has organised courses on the islands themselves thus spreading the training to a far wider audience as much of the previous expenses are spared. This is an example of the need for cultural awareness and sensitivity in order to create an environment of learning within which Pacific Islanders might be best instructed on how to improve security practices. Oscarlina Tapoki, Manager, Quality Assurance at Airport Authority Cook Islands is native to the Cook Islands and an example of talent that has originated and remained in the Pacific. Athol describes an occasion when he took Oscarlina to Tonga to accompany him for a routine visit and training activity. Athol then used Oscarlina as a model: “This could be you,” he explained to the audience in Tonga. “You people can achieve things if you really want – but it’s ultimately up to you,” before saying that the model of Oscarlina could one day be one of them, them being one of those in attendance of the opening ceremony – students of and those working in aviation in Tonga. 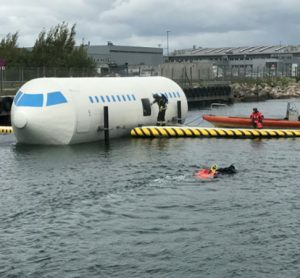 Though extremely proficient, at the end of the day, the instructors from New Zealand don’t share the same connection to the islanders. The ideal situation from a sustainable outcome perspective would be to have a pool of Pacific Island instructors delivering training activities. It is for this reason that Athol is moving towards identifying and encouraging Pacific Islanders to themselves instruct. As part of this we need to ensure that a clear development plan is put in place for such individuals. “This is a model the global aviation community needs to adopt,” he explains and it’s hard not to agree. “Provide the initial training and then encourage autonomy as strongly as possible. Ultimately, you have a greater connection with an instructor who is culturally similar to yourself. “The dream scenario, I suppose is when my job as a mediator is no longer as important. As the discussion continues, Athol mentions a conversation he had at AVSEC WORLD with an IATA representative during which he asked for assistance in dangerous goods instructor training for Pacific Islanders. “The answer wasn’t a ‘no’, that’s all I can tell you,” he laughs. This would certainly help relieve the perhaps unfair economic burden on the government of New Zealand. So what is the process itself of checking and mediating the Pacific Islands’ progress? Athol will typically liaise with an appointed commissioner on each island from the New Zealand government. “My commissioners in the respective islands are very supportive and I will often spend the last day of my trip with them to give them a comprehensive debrief on what progress has been made on the island. The fundamental issue plaguing the region however seems to be the retention of its talent. “We forever need to factor in net redundancy. The Pacific Islands are dependent on tourism so if the security and safety of its aviation infrastructure is not assured then there are significant economic implications. Tourism is economically important. Air travel to and from the Pacific Islands therefore needs to be trusted. “We trying to provide an assurance to providers that the Pacific is a safe place to do business – as an example one state has had issues with its airport infrastructure and its hotels are emptying as tourists stop coming. And so precisely what responsibility do New Zealand and Australia have in ensuring safety? There is a certain level of mutual accountability which seems extremely important to the relationship between New Zealand the Pacific Islands. “What I mean to say here is that it is imperative that ICAO get up and come down and see us in action. “It is also their responsibility to validate what we’re doing. “I have a strong relationship with their representative in Bangkok where ICAO’s regional headquarters is and I said to him that we only ever hear from ICAO when we do something wrong. That’s got to change. “You can’t build up relationships when it is never face to face. Certainly in order to grant the Pacific Islands a degree of self-ownership and autonomy there needs to be an initial level of mediation to ensure the empowerment process or as Athol coins it: “A nice and gentle nudge”. “You need to talk to them and not down to them,” and that is the essence of why mediation is so key in the development of the Islands’ aviation network. New Zealand is a proud to be a part of the ICAO Security Council and largely represents the Pacific Islands in their seat. Therefore if any Pacific Island State that New Zealand deals with requires assistance they naturally turn to New Zealand in the first instance. X-ray machines typically have a seven year lifespan. The theory behind New Zealand’s collaboration with the Pacific Islands is that it takes the initial financial hit for each island but it is then up to the Pacific Islands to build from this platform and ensure maintenance of equipment. Consequently, due to Athol’s valuable omnipresence on the islands, he has become known as the “Maori fella’” or perhaps the more iconic “Mr AVSEC”. At the end of the day, the Islanders’ empowerment is the end goal. So what have we learnt from Athol’s relationship with the Pacific Islands? Firstly, that cultural awareness and an understanding of how regional aviation differs according to cultural diversity is key to understanding how we can collectively fulfil the ‘No Country Left Behind’ motto. This can only be achieved by the regulatory bodies physically going to these places and seeing and understanding from empirical observation and experience what each region specifically needs in terms of support. 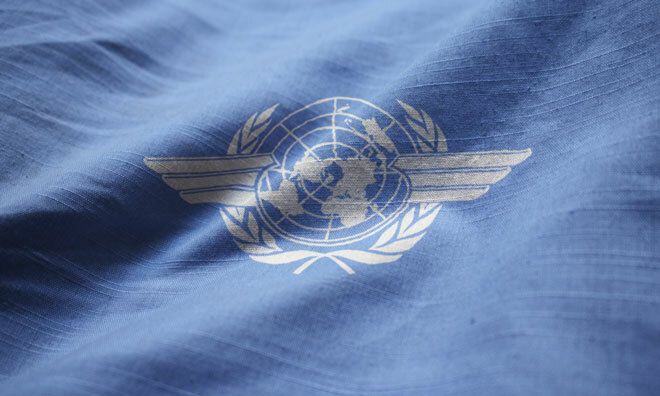 It is up to ICAO, IATA and ACI as global organisations to expand their reach and actually achieve this. Secondly, what Athol is essentially achieving in the Pacific Islands presents a microcosm for what must be done on a global level. He represents New Zealand, a nation with a well-developed economic, social and aviation network and is going to emerging states (the Pacific Islands) that are still growing and learning how to strengthen their respective economies, societies and aviation infrastructures. The key thing to remember about his role is that it remains one of mediation and support, understanding and the culturally-sensitive education of these states. He represents a lack of condescension but the crucial diffusion of knowledge to those in need. 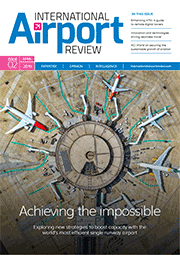 Athol represents precisely what the wider aviation community needs to achieve. Athol represents mutual accountability. Nations such as the UK, the US, Japan – those who have extensive, historic and well-developed aviation and airport infrastructures – must support those in need. That said, it is the manner in which Athol facilitates Pacific Islands’ development that we can all learn from. He is concurrently an Islander in the way in which he educates and an outsider in the fact that he represents New Zealand as a ‘developed’ nation. 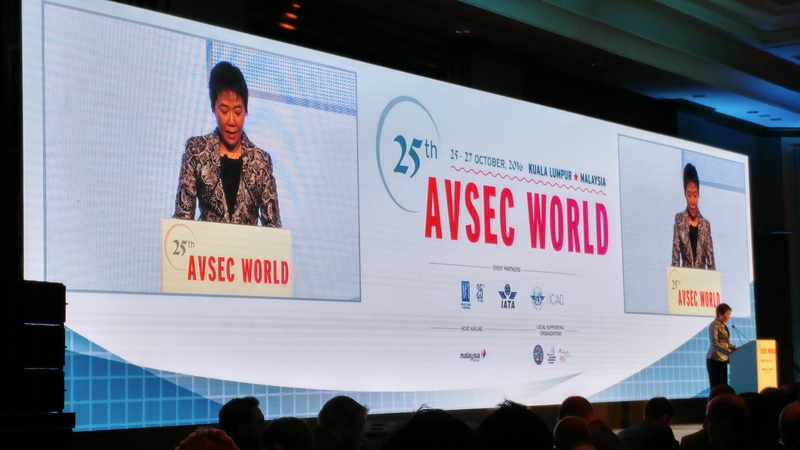 While ICAO, IATA and ACI’s rhetoric is excellent when attending large events such as AVSEC, Passenger Terminal Expo and the like, unfortunately, rhetoric has its limitations and must not be allowed to remain as such. It is in all our interests to prevent this from happening.